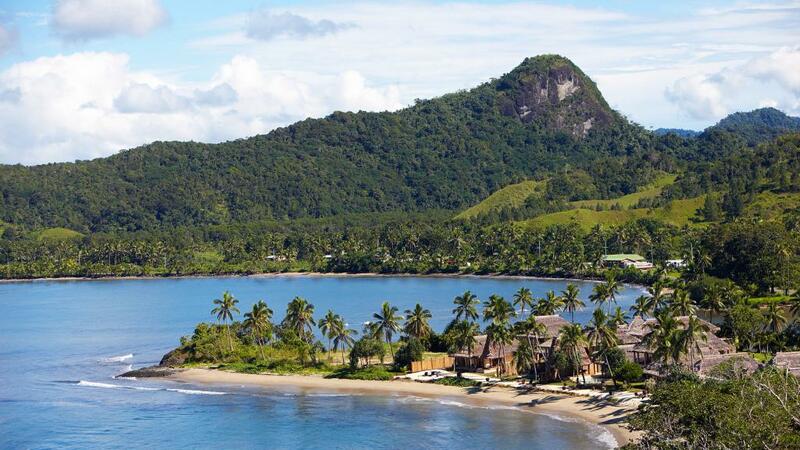 This luxury Fiji resort boasts an amazing location right on the white sandy beach overlooking the Beqa Lagoon. Perfect for couples, families or groups Nanuku Auberge Resort features spacious, modern and luxurious rooms many with private swimming pools. Guests can relax in their room or enjoy the onsite facilities including the resorts infinity swimming pool, kids club, day spa and participate in the free daily activities. For a romantic honeymoon or relaxed Fiji holiday why not stay at Nanuku Auberge Resort. Nanuku Auberge Resort is a luxury Fiji resort catering for honeymooners, couples, families and larger groups it offers an amazing destination for a truly relaxing holiday. There is a selection of room types to choose from at this Fiji accommodation, all of which is modern, spacious and offering amazing views and a daily butler service. Choose to do as little or as much as you like, indulge at the day spa, soak up the sun by the swimming pool, head out in a kayak or just relax on the sand. Nanuku Auberge Resort offers something for everyone, for your next Fiji holiday why not head to this luxury Fiji resort.